A widely debated topic has been put on the table in European countries: Whether to use telecoms equipment provided by Huawei Technologies? Some have called for a fact-based move regarding the Chinese company rather than yielding to political pressure from the US government. Huawei is ready to work with the Polish government by providing extra security measures required to stay in the 5G race, as network security always remains the top priority of the company, a Huawei spokesperson told the Global Times. Under the geopolitical pressure of the US, not every country in Europe has followed suit by barring Huawei's products from entering the development of their next-generation wireless networks. Germany will not formally ban technologies provided by Huawei from its 5G mobile networks, local newspaper Handelsblatt reported. A number of US allies such as Australia, New Zealand and Japan have taken a hostile stance toward Huawei. However, no concrete evidence has shown that the Chinese telecoms company poses any threat to other countries or jeopardizes their network security. "In the past 30 years, Huawei has operated in more than 170 countries, providing services to more than 3 billion people around the world, and maintaining a good security record," Ren Zhengfei, Huawei's founder, told a group interview in January. He emphasized that the company is an independent commercial entity and the protection of the interests of its customers is a priority. He said that Huawei will never hurt the interests of any country or individual. A former British intelligence officer also said that "there is a wider geopolitical campaign" driving the global crackdown on the Chinese company, to meet the trade ambitions of the Trump administration, which has nothing to do with telephony or cyber attacks. Robert Hannigan, former director of GCHQ from 2014 to 2017, made the statements in an article published in the Financial Times on Tuesday. Luxembourg Prime Minister Xavier Bettel also urged the EU not to make any decision on whether to ban Huawei before having all the facts on the table, Reuters reported. "What Huawei is doing now is to address security concerns in the Western countries through technical measures," Fang Xingdong, founder of Beijing-based technology think tank ChinaLabs told the Global Times on Thursday. 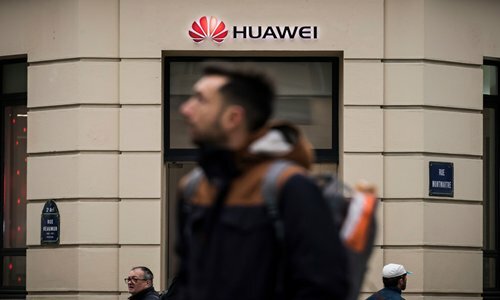 The US has suggested that under the Chinese intelligence law, companies like Huawei might hand over data or access to Chinese intelligence, which will pose threats to foreign carriers. This has become one of the arguments for the US-led campaign in cracking down the Chinese company. "Intelligence laws are not a Chinese privilege, and we've learned from the experience of the West in establishing the legislative content," Fang said. Fang said that exaggerating or politicizing technical matters is a dead end to tackle divergence.